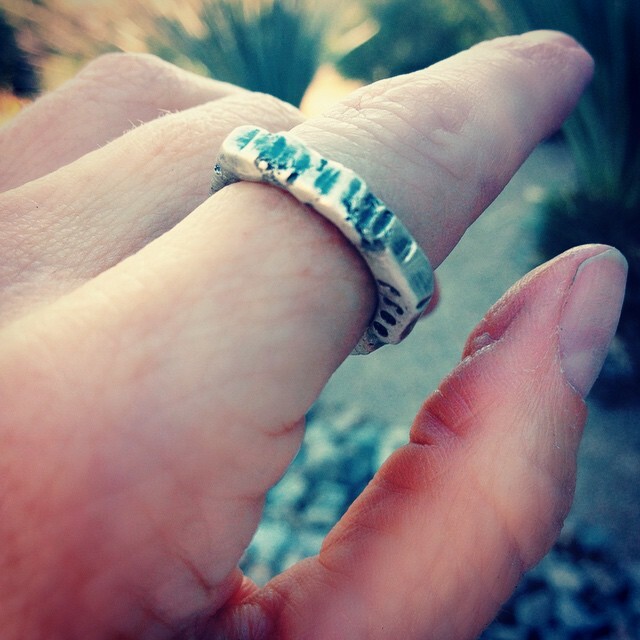 I’ve been making rings lately and I’m forcing myself not to make them in my size because I’m becoming obsessed with them…lol. 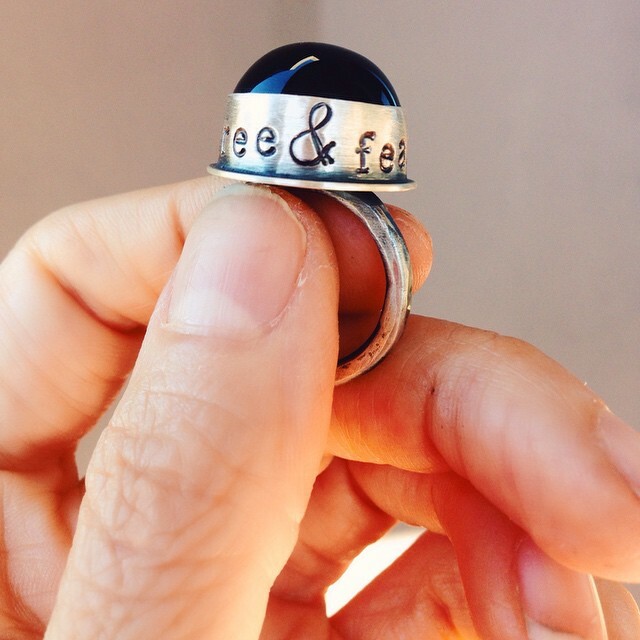 This one is a black onyx with the words….free and fearless on the side. I have a stone fairy named Rob. He has been buying me stones to use in my work. I”m such a lucky girl. 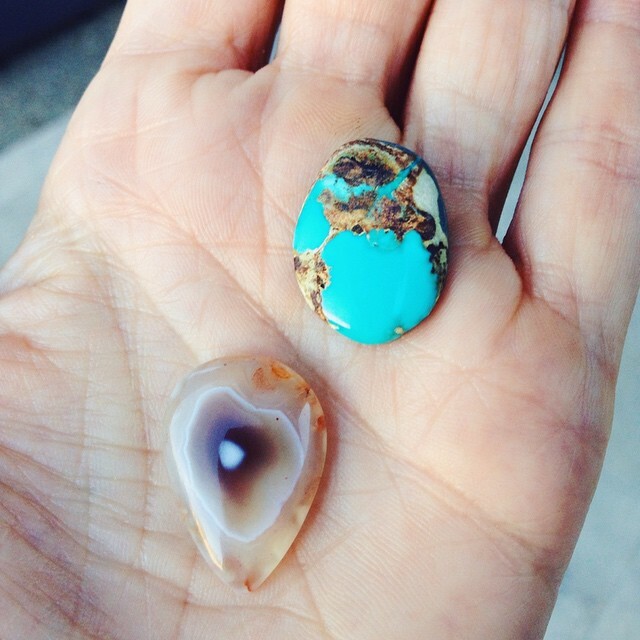 The above stones are natural turquoise and agate. 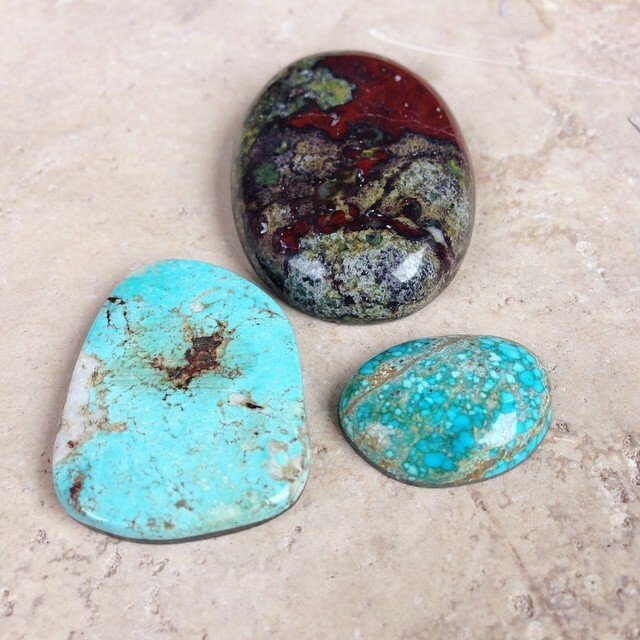 The larger stone pictured is Australian bloodstone and the two others are turquoise. I’d have to look up my notes but I think that one is from Bisbee and the other Nevada. 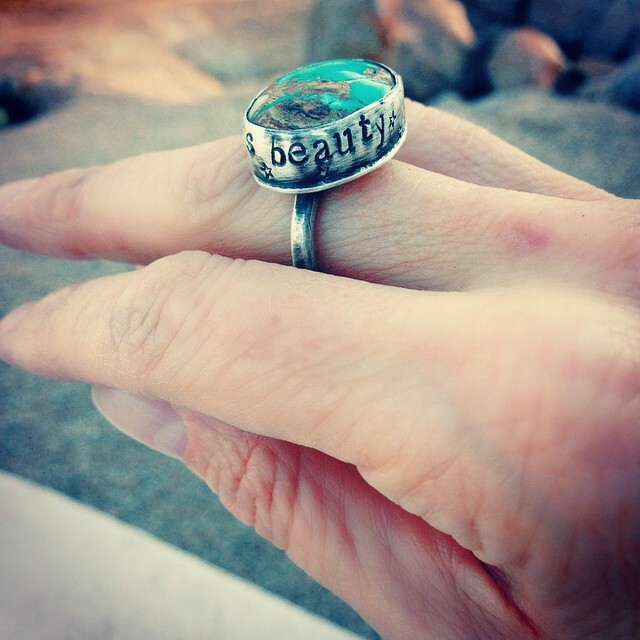 I actually made myself this ring that reads…. imperfection is beauty. 🙂 The turquoise is just stunning. 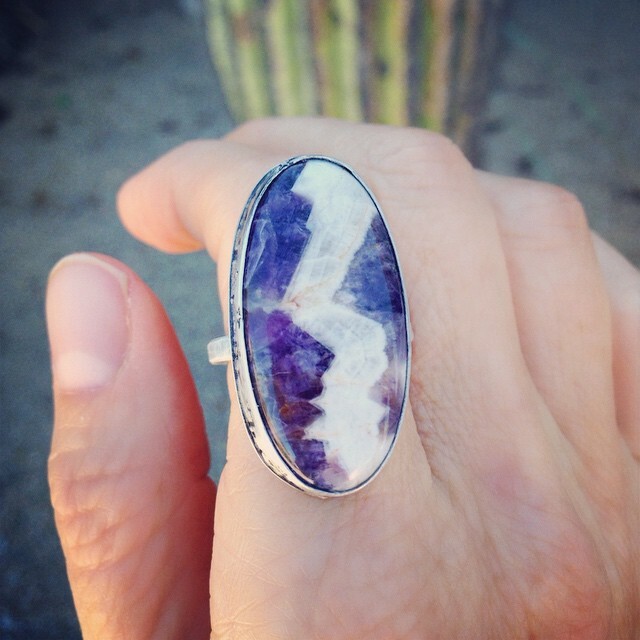 This is a dogtooth amethyst ring that I recently finished. 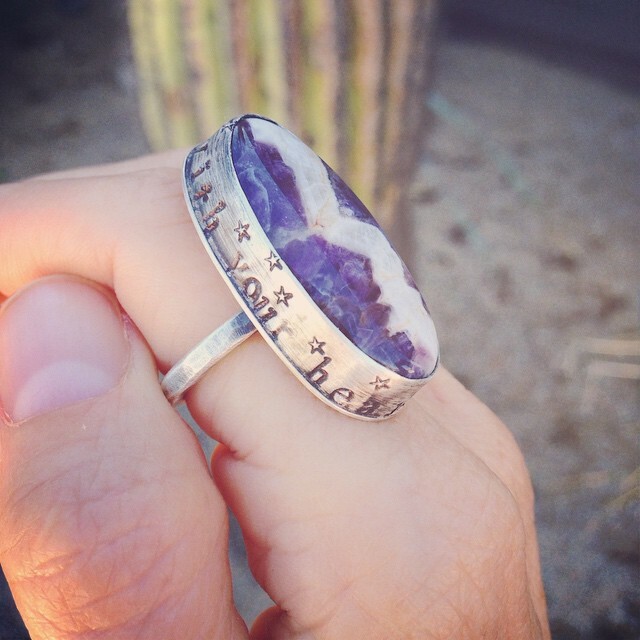 The side reads….listen with your heart. As soon as I posted the above piece on Facebook it sold. 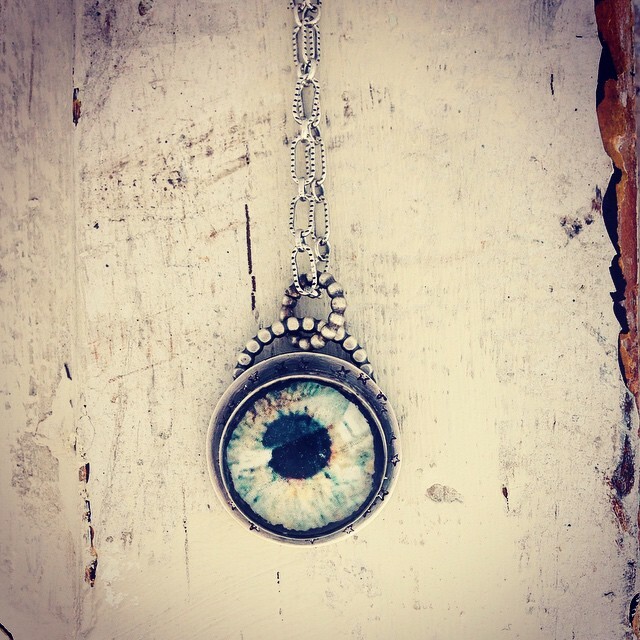 It’s a necklace with a pendant that includes an image of my eye….lol. You read that right. I put the piece together and wasn’t sure how I was going to finish it so I didn’t do a thing for 2 weeks until inspiration struck. My eye seemed a perfect fit then I covered it with a high quality resin. 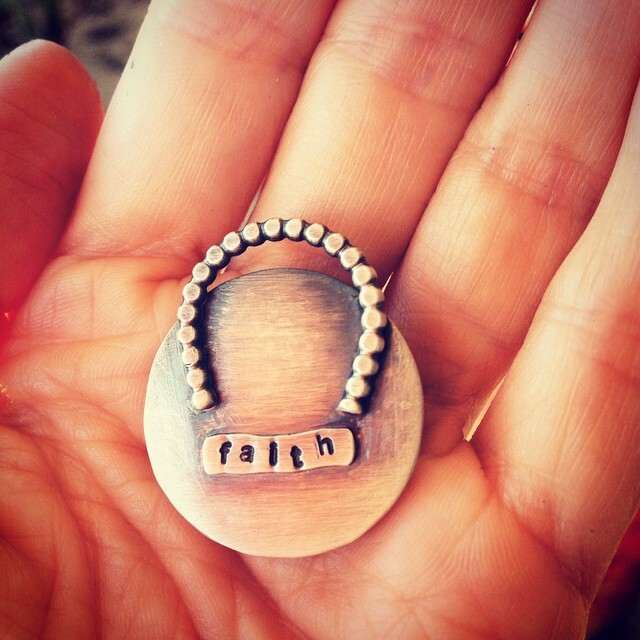 This is the back of that pendant. 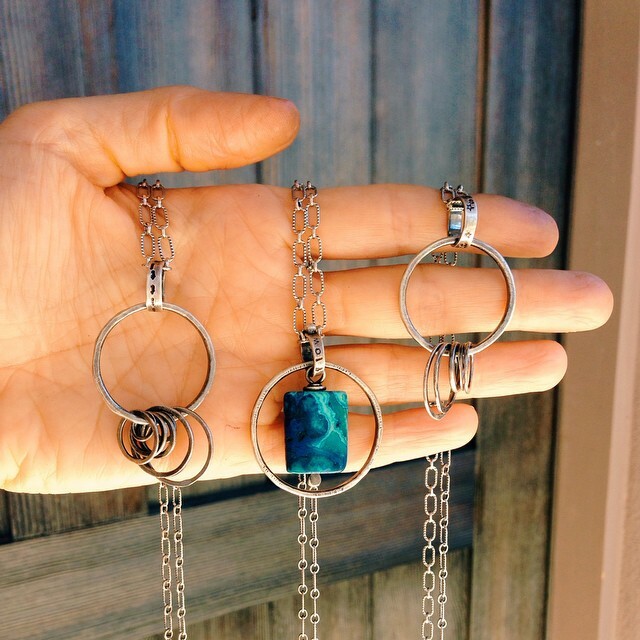 I’ve also been making other necklaces and have a few on my workbench as we speak. 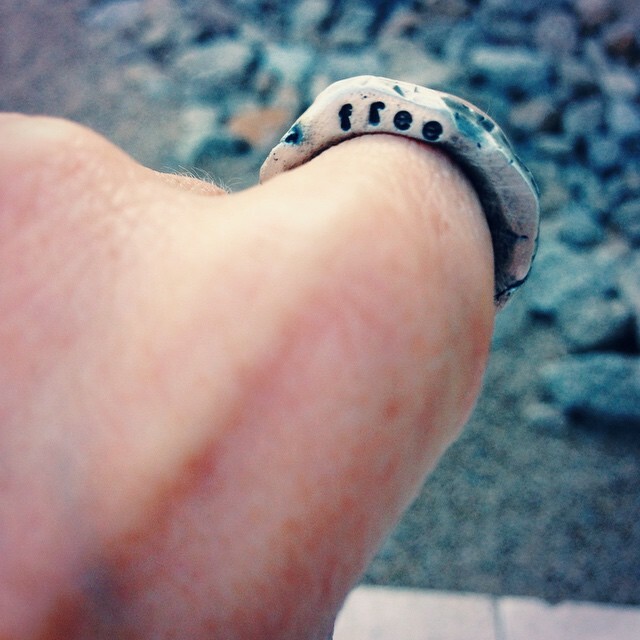 Yesterday I found myself playing with molten silver and made this ring. It’s very sturdy and comfortable to wear. It says…. *fly* on one side and *free* on the other. Another angle on the molten ring. Next week I’ll be doing a GIVEAWAY!! Yay!! Check back on details on how to enter!! You can find some of my work at my Etsy shop. My name is Manon. (pronounced Man + O) Yes….my mom cursed me with my name. In her defense I guess she never though I’d leave Quebec. 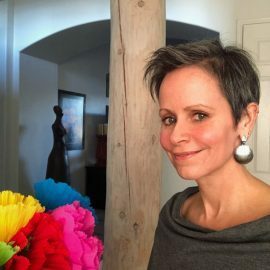 I’m a jewelry artist and painter. I’ve been creative as long as I can remember and things haven’t changed. 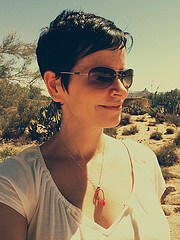 I now live in Scottsdale, AZ. where I spend most days in my studio making pieces that speak to my heart. Thanks for stopping by! !